Total and Sempra Energy have entered a memorandum of understanding (MOU) for liquefied natural gas (LNG) exports in North America. The partners will continue to jointly develop the Cameron LNG liquefaction project in Louisiana, US, and the Energía Costa Azul (ECA) project in Baja California, Mexico, as part of the agreement. The deal will allow Total to offtake up to nine million tonnes per annum (Mtpa) of LNG from Sempra’s LNG export development projects in the US Gulf Coast, as well as in the West Coast of North America. It will also support Total’s goal of developing a diversified portfolio of LNG supply options to provide flexible, reliable and low-cost natural gas to its North American customers. Total is an integrated oil and gas company based in France, while Sempra is a US-based natural gas utilities holding company. Vantage Energy Acquisition has signed agreements with QEP Resources’ subsidiary QEP Energy Company to acquire the latter’s Williston Basin assets in North Dakota and Montana, US, for $1.65bn. The acquirer will be named Vantage Energy and focus on oil and gas exploration and production activities, following the completion of the transaction. The deal includes QEP’s South Antelope and Fort Berthold leasehold and various mineral interests across 100,000 net acres. The current production rate of the assets is 46,000 barrels of oil equivalent (boe/d). Vantage Energy Acquisition is a special-purpose entity of Vantage Energy, while QEP is involved in crude oil and natural gas exploration and production. Both firms are based in the US. SandRidge Energy has completed the sale of certain oil and gas assets and rights in the Central Basin Platform (CBP) region of the Permian Basin in the US to an undisclosed company for $14.5m. The company also issued 13.12 million common units of the SandRidge Permian Trust, under the transaction. The divestment will help simplify SandRidge’s operations by removing a large population of low-rate and shut-in wells. The company has acquired oil and gas properties and rights in the Mississippi Lime and NW STACK areas of Oklahoma and Kansas for $25.1m, as part of another transaction. Based in the US, SandRidge is involved in the exploration and production of petroleum and natural gas. 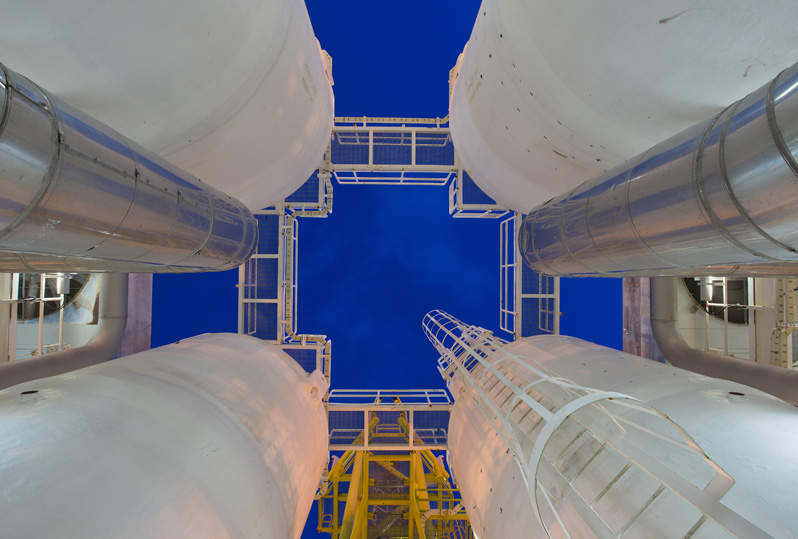 The joint venture (JV) partners of Australia Pacific LNG (APLNG), namely Origin, ConocoPhillips and Sinopec, have entered a deal to share infrastructure with Queensland Curtis Liquefied Natural Gas (QCLNG). The agreement will allow QCLNG to transport and process gas and water from Arrow Energy’s Surat basin fields using the joint infrastructure that it shares with APLNG. The infrastructure sharing arrangements will take place between 2020 and 2035 with a 14-year extension option. The JV partners have also signed a deal to procure 350PJ of gas from the QCLNG project between 2024 and 2034. Based in Australia, APLNG is a natural gas producer.